The spacious 3,470 sq. 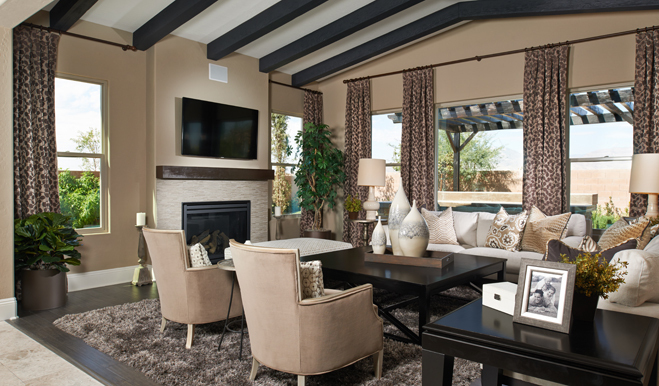 ft. home welcomes guests into a stunning vaulted ceiling entryway and opens up into a spacious living room. 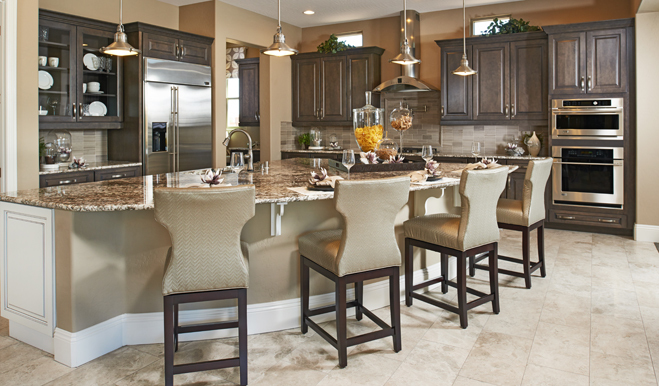 Just off the living room is a charming breakfast nook and gourmet kitchen. The kitchen features Electrolux® stainless steel kitchen appliances, granite countertops, raised-panel cabinetry, a large walk-in pantry and a spacious center island. At the front of the home is a downstairs bedroom with walk-in closet and full bathroom. The second floor features a loft that opens up to the deck. Adjacent to the loft is a second bedroom, full bathroom, a large laundry room with walk-in linen and a spacious third bedroom with a walk-in closet and access to a deck. 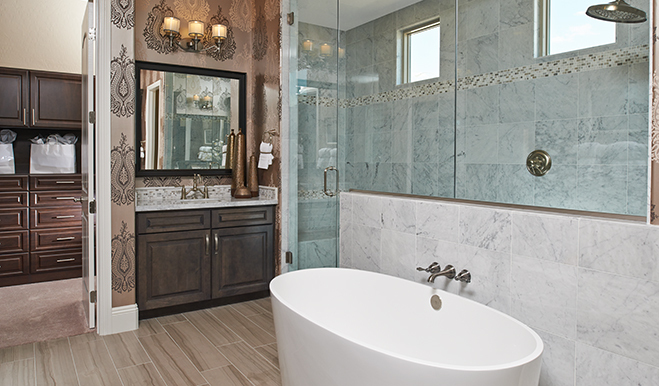 On the other side of the Berkshire is a master bedroom with a large walk-in closet, coffee bar and a beautiful master bathroom with dual sinks, built-in vanity, a separate walk-in shower and a relaxing soaking tub. There is also a master retreat that opens up to the deck. The charming floor plan greets guests with a covered entry. 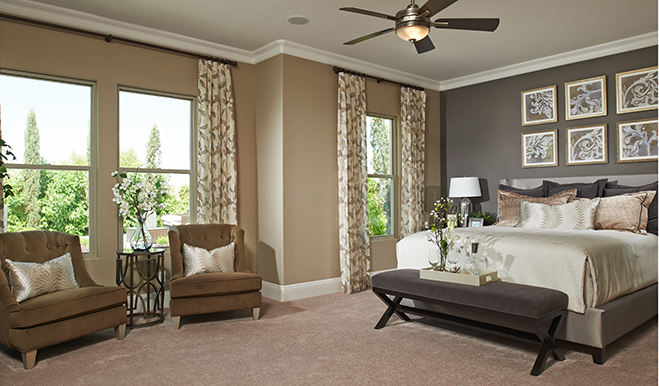 Inside, you’ll find a study that can be optioned as a dining room or fourth bedroom. A fifth bedroom can be added in lieu of the tandem garage. The open gourmet kitchen overlooks a spacious great room. Option available for a formal dining room. This gated community is nestled in Las Vegas’ celebrated Providence masterplan. Residents enjoy quarter-acre homesites and spacious ranch homes with features like guest suites, free-standing master bath tubs and multi-slide patio doors. 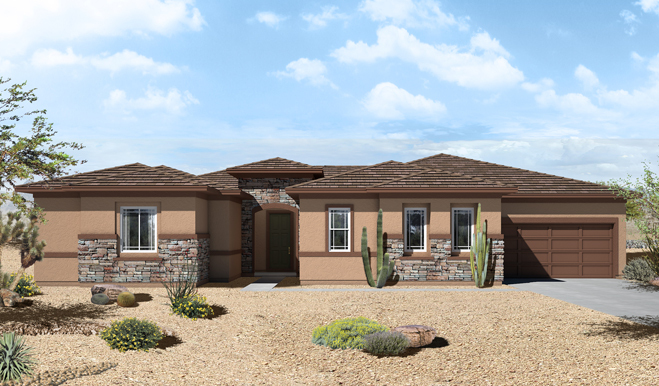 These homes feature floor plans ranging from 3500 sq ft up to 4019, sq ft up to 5 bedrooms and 3 car garage! Look at what’s included in these homes!